What do they like? How can I convince them to buy my work? What’s important to understand is that not all collectors buy art for the same reason. However, knowing what motivates the collector in front of you might help get your art out the door. 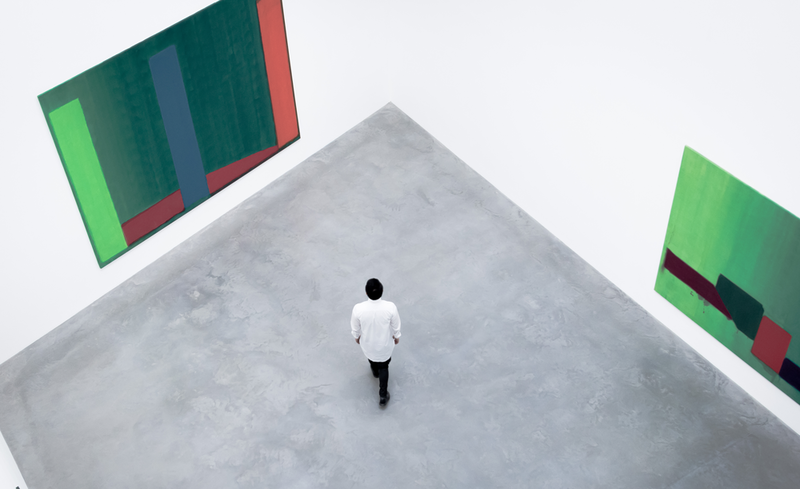 Whether they connect with the art or the artist, we’ve listed five steps to take boost art sales based on what five things that motivate collectors. If they connect emotionally with a piece … then show more pieces. “Most devoted art collectors are people who truly love and value the pieces that they purchase. They want to live with art and appreciate it on a regular basis,” explains Carolyn Edlund. When you come across a collector that fits this bill, the next best move is to find out exactly what has struck a chord, keep in touch, and introduce them to similar pieces. If they care about social status … then talk about your showing history. The more you can boast about your stellar showing history and past clients, the more you will impress this type of art collector. An easy way to keep track of your locations, contacts, and more is with Artwork Archive. You won’t have to pull important facts off the top of your head, and collectors will be dazzled. If they admire the story behind art … then have the details ready. Uttered um’s and uh’s when asked about your piece won’t do you any favors. Many times, collectors build an emotional connection to a piece after learning about why and how it was created. Did you travel abroad to paint in plein air? Did you try a new technique? Do you have your own emotional attachment to the piece? Write down these details as you create. That way, you won’t forget a thing, and your story is ready to go when this type of collector walks up. If they want to connect with the artist … then be genuine and tell your story. Sometimes, an artist’s story is just as important as the art’s. How did you become an artist? How did you develop your particular style? What inspires you? A collector like this will fall in love with your artwork once they witness your genuine passion and expertise. If they enjoy the art community … then show at public art events. Many collectors simply enjoy the hustle and bustle of the art community—meeting up with friends, being seen, and keeping their collecting skills fresh. Our tip? Go where these collectors go! Keep an eye out for upcoming art fairs and gallery openings so your work can be found. Why is this knowledge important? Knowing what motivates collectors can give you an edge when selling your art. And, you should know that not all collectors are the same. Whether it’s the emotional attachment or social aspect, your approach with each collector should be just as different as the reasons they collect art. Get more thoughts and concerns art collectors need to consider in our Essential Guide to Collecting Art, available to download now. We talk with arts journalist and author Nadja Sayej who created the eGuide for artists "Getting Your Sh*t Together." A comprehensive look at starting an art business, step by step. Taking the first steps in your art career or want a refresher? Experienced teacher and artist Anne Kullaf shares her 6 tips for emerging artists.